We can’t imagine how people, nowadays, live without internet. Internet has become the complete gateway from our daily living to everything else. From business to private matters, every little information required can easily be found online. And the only way we can connect to the internet at home is through a router--and of course, the newer 3G and 4G connection. But when it comes to home connectivity, the internet is completely reliant on the presence of a router. There are times when we’re in the middle of an intense game or just streaming live for our favorite shows and then our routers fail us and start buffering. It’s a major killjoy. It’s already that time when our router needs to be changed. We’re pretty sure that you’d like the best router for your daily use, right? And it’s usually a bit difficult to figure out what the difference is from a $50 router to a $300 one, especially when every other ad sticks the label of " the best ever product". Though we think that price always dictates the quality and the latest features, you might be surprised to find ones that are way cheaper but still offer just as great quality as those on the highest price range. So, to better understand what you should be getting when buying a router in 2018, let’s find out what you should consider. This way, you’ll know just what you’re getting yourself into once you start shopping online. Basically, any of us who are not that techno-smart--which probably consists of about 90% of the entire world’s population--do not know what to look for when choosing a wireless router. It is true in most cases that we would simply rely on what a shopkeeper at the super market electronics section would simply suggest. But we can’t really rely on everything they sell, could we? For all we know, with all teh best will in the world they’re just trying to sell the item which they will get the most commission from. So, let us help you out in trying to figure out what wireless router suits your needs. Though this is hardly a concern for many if you’re looking for a router for your small office, then one of the things you need to consider in buying a wireless router is its VPN support. VPN is vital in protecting your line and labeling it as a private network for an added extra line of security against online threats. Obviously, you’d need to consider what it is made of. You need a device that is sturdy and more than likely easy to clean as well. You need to be aware that these devices, as isolated as they are, can also turn into hubs for the dust to accumulate on and a simpler design is easier to clean. You’d also want something that will last for a long time. We know that you’re surely going to consider the internet as a primary need for your home or small office, so with that, you need one that will last for sometime. This is definitely one of the most important factors you should consider when you’re going to buy your own WiFi router. Choosing a type that works for you is important since they are going to be around your home in the long run. Speed is directly correlated to the type of router that you’re going to get. 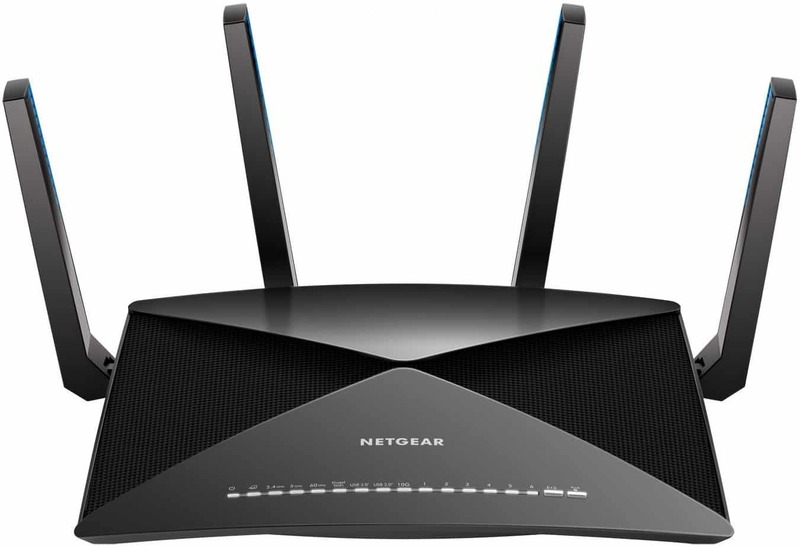 We only suggest that you choose between two types of routers: the 802.11n or the 802.11ac. These are the latest WiFi devices and they carry the best speed amongst all of the recently introduced models.However, the 802.11ac seriously belongs to a different calibre because it has a much faster connection speed than all of its predecessors’ speed combined. With a theoretical speed of 1300 Mbps, or a Gigabit support, your best option is to choose the latest model. But it’s not a necessity since you would also have to consider just how fast the rest of your devices are when connecting to the internet. So even if you do have a Gigabit support but your phone or laptop or other devices are only wireless N, then your new WiFi router won’t be able to support your Gigabit speed. Every routing device comes with its own security features like WEP, WPA, and WPA2 security defenses. Some allow you to be able to configure your security settings to modify controls on your router, like the amount of time the internet can be used, the number of gadgets to be connected, and even create segments for guest users and regular users of your internet connection. There are a lot of reasons why you should get your device covered with a warranty. Hardware and its paired software aren’t always perfect. As with anything in life, they have a tendency to fail and if you’re not so techno-smart, it’s best to have things be secured. Most routers, depending on the retailer you purchased from, come with a warranty of a year or two. So dont skint on one and get yourself a dependable warranty as a back-up and as a security measure when things won’t go your way. This entirely depends on your need. There are two types of frequency bands, 2.4 GHz or the 5 GHz. There is the newer Wireless AD frequency band that’s much faster but we’re not going to include that yet since you won’t find any wireless AD consumer models yet. What’s the difference between 2.4 GHz and 5 GHz bands? The 2.4 GHz refers to the single frequency band. This is typical in most consumer wireless routers. It can connect a wide range of devices but it can easily be interfered with and it lags when it’s too congested. On the other hand, the dual-band or the 5 GHz frequency band offers better speed and less susceptibility to being crowded and has lesser chances of being interfered. Interference happens when you and your neighbors have different WiFi connections and they disrupt each other. If you have a dual-band, you are less likely to experience interference. The dual band has both 2.4 GHz and 5 GHz of frequency bands while the single band only has 2.4 GHz. If you are located in an area with wide spaces separating you from your neighbors who have their own internet connection as well, then it’s not much of a problem to get a single-band router. Though most of the routers are already dual band, alongside the Wireless AC, tri-band wireless models are also now being manufactured. Tri-band routers host three different WiFi networks all at once. In reality, they host one 2.4 GHz and two more 5 GHz frequencies or signals. This allows more devices to connect for you to enjoy internet freedom. You could argue 5Ghz can handle more devices connected to it all at once with lesser interference, but one 5GHz frequency can still get congested. In our view, although its a luxury, having two separate 5 GHz signals allow your router to provide a more seamless wireless internet connection. This refers to how far your WiFi can send its signals in your home or your location. Though more expensive wireless routers offer a great range, there are just some tough dead spots that your WiFi won’t be able to reach in your house like the basement or attic corners. Higher end wireless routers have wider ranges. But another consideration is that even if your device model has a good coverage, does it offer equal or stable connection throughout the range it covers? Some wireless routers have great coverage but have significant difference in terms of speed of connection to the end of the range of the wireless connection. This is particularly important for those who wish to connect other devices like printers, fax machines, and other smart devices. A wired connectivity allows better and uninterrupted speed to your device. So having a wireless router that has ethernet cables and USB ports permitting certain connections to other devices is vital especially if you often require the need for these ports. This may be particularly important for home or small offices. On the downside, if you try to connect more devices, it will also suffer lagging because it would need to share data streams. At the time of writing, the MU-MIMO is only available to wireless AC routers. SU-MIMO is standard for most Wireless router devices used at homes today. It permits one direct line to a device and offers multiple connections to different devices but the transmission of data is not simultaneous. Meaning, it transmits data only from one device first and then to another. Due to this, it is common for your device to lag or buffer. Your existing internet speed and connection from your service provider is a big concern. Even if you buy a high-end router but your speed is only limited to that of a Wireless G or N router, then you might not have the need to get yourself a wireless AC router. It’s either that or you’d have to upgrade your internet connection to maximize your speed. How often do you use the internet at home? Are you heavy internet users like constant daily live streaming or constant streaming online? Do you use the internet for online competitive gaming where you’d often spend most of your time on your gaming chair and banging on your gaming keyboard the entire day? Or are you just casual users that don’t often require much downloading and heavy use of the internet? You need to give some thought to all of these questions before even thinking about digging into your pocket and buying a wireless router. You don’t want to spend too much for a router that you won’t have much use for, right? Even if there are tons of features and better sounding attributes, if it doesn’t suit your need, then its just money down the drain. isn't it? So choose wisely even if it has to be a lower-end wireless router. As much as we can suggest, when it comes to ultimately buying one, its horses for courses-i'm afraid! How many devices do you have at home that requires internet connection? Just your laptop and smartphones? Or do you have other devices that require a better connection like a high-end gaming computer desktop or the latest plasma TV? Knowing just how many devices you have at home that will connect to the internet is equates to the features you’d like your new wireless router to have. If your entire house is totally connected via the internet, then you might want a router that can cater to the needs of all these devices simultaneously. This is particularly preferred by parents with children who have their own devices that can connect to the internet. You can control or limit the adult sites that they can have access to, including but not limited to the number of hours you want them to have their internet access. You don’t want them secretly playing games online when they should be early in bed for school the following day, right? We can’t help but have visitors to our house. And believe it or not, they also need an internet connection. A guest network is a private network where you can allow them to have access to the internet but limit their use. A guest network will prevent your guests from having access to your other devices like your smart coffee maker machine or your fax machines, computers, NAS boxes, and many more. Another thing to consider is the coverage area of the internet. How big is your house--including your front lawn and backyard? How far do you want your WiFi signal to reach? The range of a Wireless router differs and this is often seen on the number of antennae of the router you’re going to get. More the merrier in this instance! Higher the number of antennae, the larger is the coverage. The hardware is already superb as it is. With a 1.7 GHz quad-core processor, it provides the perfect processor that can support 10 Gigabit LAN connections. Meaning, this wireless router has about 10 different LAN ports that can provide Fiber Optic speed to your devices directly. It’s very handy for inter-device connections because of the triband technology allowing uninterrupted connection of all your devices. It also has MU-MIMO technology with a 4x4 capability allowing four different heavy usage devices and still provide high-speed WiFi and LAN connections to various devices within an average range of 5,000 feet. No matter how many devices are connected, you will all be able to enjoy quick downloads, smoother streaming, and faster elite gaming. With the latest 802.11ad connection, you can enjoy speed up to 7 Gbps. It is also capable of supporting uninterrupted streaming of videos with 4K HD quality. What’s great about it is that you can directly save your downloads to your USB through its 3.0 USB port. With the PLEX, you can organize your data like movies, shows, videos, photos, and other media files directly on your external hard drive or your flash drive. What we love about this is that it has everything we love about it. It contains the latest technologies at its best. What’s great about this is that it is very easy to access. It provides seamless streaming, high-speed gaming quality, and simultaneous heavy usage for different types of online users. The only problem you’ll ever have is that you won’t be able to maximize the full use of the speed of the internet and not every device is compatible with this wireless router. It means that there aren’t a lot of devices that can reach the speed of the internet of what this router can provide. Despite it being too early for the rest of technology to catch up, it provides the maximum of everything. It gives the device the opportunity to reach the highest speed it can reach. This way, the theoretical speed they can reach is very much attainable with a wireless ad router. With the latest technology and great hardware, this is going to stay with you and still be up-to-date with the latest router until the rest of the world’s technology catches up to it. Partly topping our list for the best wireless router with the best seamless wireless connection, the Asus AC5300 Tri-Band Wireless router is our second top pick for the high-end wireless routers due to many reasons. Offering dual 5 GHz and a 2.4 GHz frequency, it can host more devices while providing them all with a stable connection. 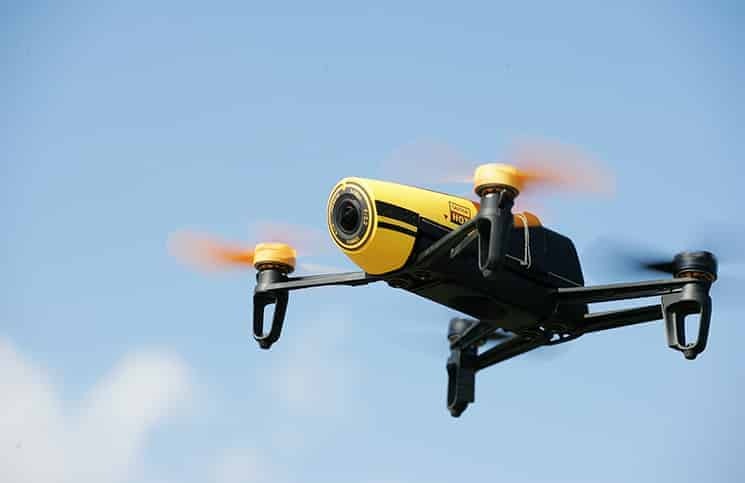 Aside from that, it can offer a smooth connection for up to 5,000 feet of coverage. That’s more than enough space for a large house. What’s great about this is that it has MU-MIMO 4x4 technology connections allowing your devices to use the internet heavily without pulling each other’s signal or internet connection. This is great if a lot of your family members or parts of your household or small office use the internet heavily on a regular basis. With the 4x4 technology, your WiFi connection will be able to provide you with speedy and clear connections without it failing over distances. One great feature of this wireless router is the supreme security which provides AiProtection to prevent your network from ever being vulnerable to cyber attacks from multiple sources and platforms. This allows you to keep a clean and safe digital playground. You will also find the hardware as a superb feature even for non-techy people. With a 1.4 GHz dual-processor--enough to power a high-end notebook or a mid-range laptop-- it gives you a powerful hardware that is more than capable of supporting your tri-band technology. Aside from that, the router has 4 Gigabit Ethernet ports and one 3.0 USB port. Furthermore, it has a 2Gbps link aggregation capability along with a 512 MB built-in memory for great storage and networking functionality. This wireless router has a corresponding ASUS router app that allows you to access and manage your WiFi settings. This is convenient rather than having to connect to your WiFi router through your computer just to gain access to your WiFi settings. We love just how easy this thing is to set-up. It is pretty easy to access and it also provides great connectivity. Along with that, it has multiple features that allow you to micromanage your internet connection at home. Moreover, it’s great that this is a hybrid wireless router thus allowing you to connect up to four devices via ethernet cable and much more via WiFi. No matter how wonderful this WiFi router is, it’s somewhat weak when it comes to providing you with great connection if you don’t have a good internet service provider. It also falls on the really high-priced end of our list of great WiFi Routers. It has far too many antennae that can easily get caught up in other household items but other than that, it’s not much of a nuisance. Coming with a great item that can really stretch the limits of wireless connections, and built with a powerful processor supporting not just Wireless connection but multiple wired connections, you get to enjoy your internet anywhere in your vicinity. 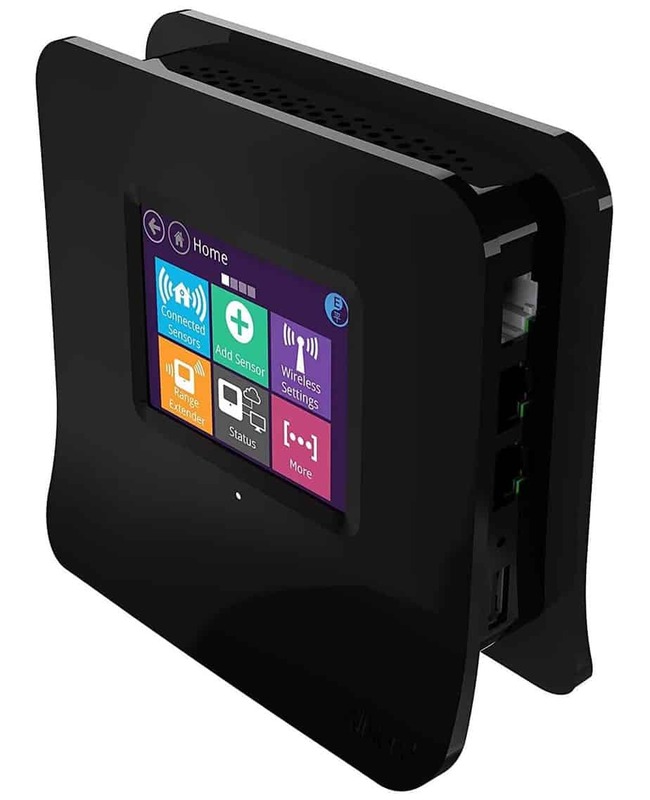 This is also a great router to have in your small business office. Linksys is a great brand when it comes to manufacturing routers. In fact, we have more than just one Linksys routers in our list. This is our top pick for the best mid-range wireless router for the budget because it has great features that sustain all of your needs and more. 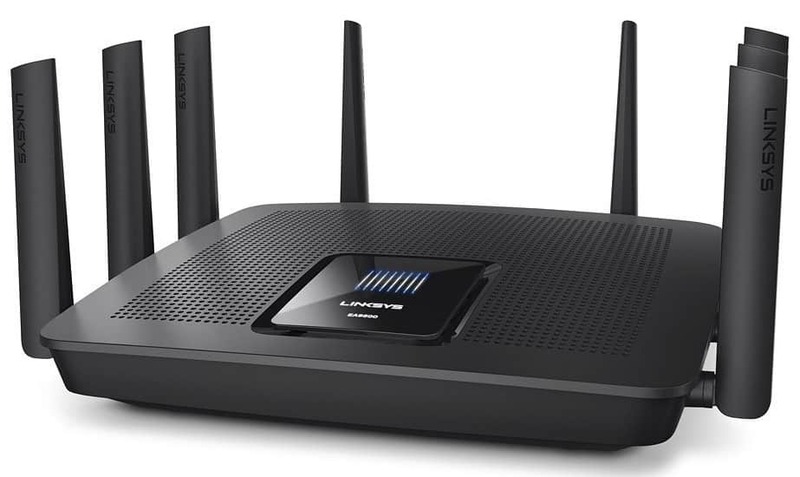 The Linksys AC1900 Dual Band Wireless Router provides great connectivity with speed that can reach up to 1.9 Gbps. This speed makes other wireless routers have a hefty price tag. You can enjoy games and online streaming without delay because you are using a wireless ac router. Aside from that, you don’t have to worry much about losing your speed to your wife who is live-streaming her favorite TV shows or your sons connected together and playing League of Legends in another room. With its MU-MIMO 3X3 technology, you can literally have multiple heavy users in your household without worrying about pulling each other’s internet connection. This also translates to better-uninterrupted connection because your WiFi is a dual band. Even with a mid-range price, you can enjoy the luxury of a high-end wireless router. It is compatible with older models but still maximizing their connectivity. The hardware comes with four ethernet cable ports and two 3.0 USB ports. It has three antennae making it an ideal wireless router for a medium-sized home. Another good thing is that you can connect up to 12 different devices to this wireless router simultaneously. From gaming consoles to Smart TV, you can connect online without trouble or worry. What’s also great about this is that you can monitor and even control your network on mobile through its Smart WiFi App. It allows you to micromanage your wireless connection by helping you set-up a guest network, parental control--to make sure your children are doing their homework instead of streaming online, and even set-up a device prioritization so that the right devices would have the best connection than those that don’t really need to be connected at full-speed. This mid-range priced wireless router is a wonderful piece of equipment giving you the best internet access for a price under $200. What we love about it especially is the fact that you can really personalize your wireless connectivity via the app. Though it is a great wireless router and you’re able to personalize the settings and the features, the app is a bit difficult to use. It is not as user-friendly as you’d like it to be. It also offers great range but you will notice a significant difference when it comes to losing its speed in further lengths and places. 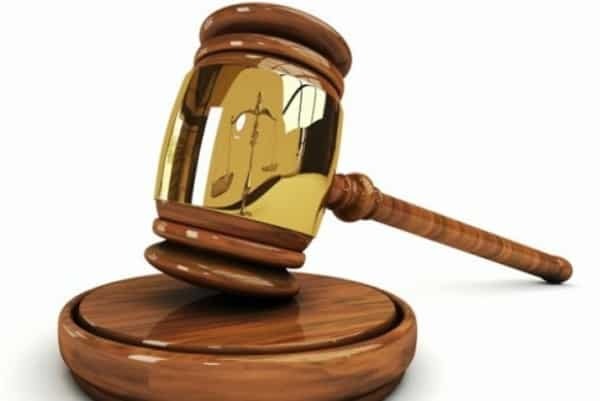 Despite the minor setback of having to learn how to use the app, once you get to familiarize yourself with it, it will definitely be a great service to you. It becomes a wonderful wireless router that is great for its price. If compatibility is what you’re looking, then the NetGear Nighthawk Mesh is a real treat. Compatible with most wireless router models, gateways, and internet service providers, this is definitely universal. Aside from that, this is a really powerful WAP. We can’t help but add a wireless device that is perfect for gaming. Let’s face it, one of the heaviest uses of the internet is online gaming. And for avid gaming fans and elite gamers out there, you might want to include this in your progressive upgrades for the best gaming experiences. It connects well with gaming consoles directly like the XBox, PlayStation, your gaming PC and more. It is already programmed to prioritize gaming connection amongst all other internet uses. Once it detects that you are playing a game, it will service your device with stable and reliable internet. Don’t worry, it also does the same with other devices but your gaming console is going to be the priority. 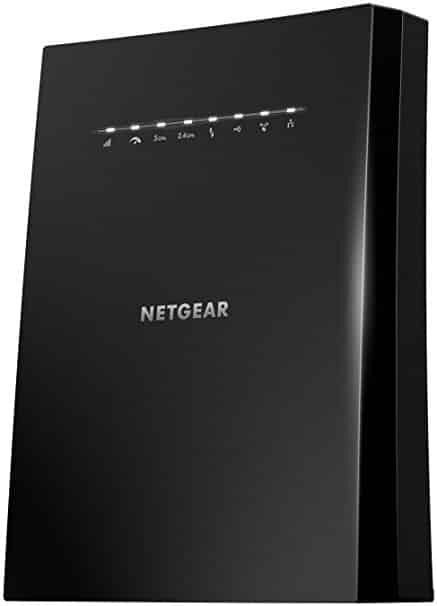 This AC wireless featured NighttHawk can offer theoretical speed up to 2,600 Mbps. It comes with four Gigabit Ethernet ports to maximize your internet speed and offers generous two other 3.0 USB ports for other device connections. What’s great is that it is superbly customizable allowing you to control the ping and latency of your internet. You can limit the speed and the range of your internet especially when you’re in your gaming zone. Security is also an awesome feature allowing you to have a great connection throughout your network. This is particularly needed for gamers out there since setting up a VPN will give you a well-protected digital playground. Despite it prioritizing gaming consoles in providing internet connections, it still offers superb connection to other devices. The dual band prevents the line from ever getting crowded even though you are playing a game. It also allows multiple users to stream without heavy buffering and interruptions. This is still considerably very expensive on the pocket. 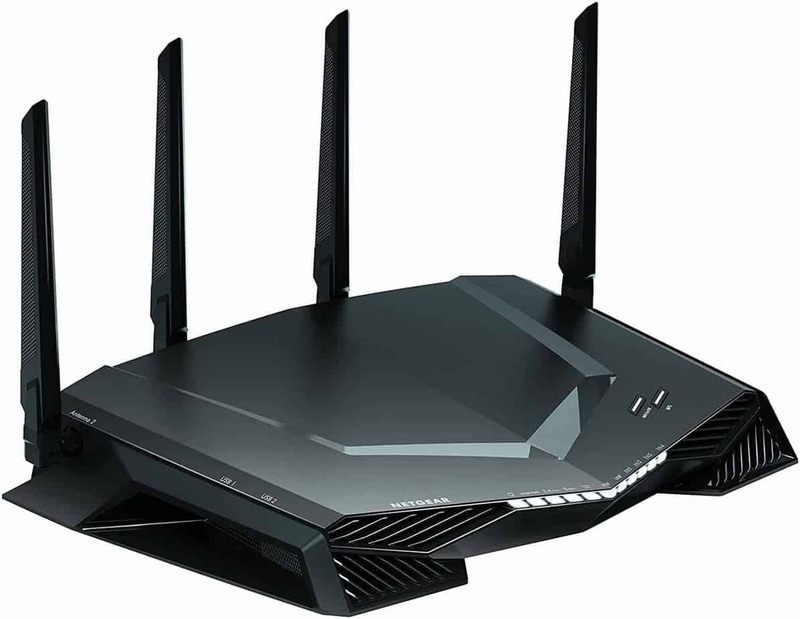 You can consider this a Lamborghini of gaming routers. It is also inconsistent despite it being a router that is supposed to be prioritizing gaming consoles for internet connections. It can still prioritize other devices using just as much heavy internet usage at the same time. You need to manually set it up in the settings to make sure your gaming console is receiving the most attention from your router. Though expensive, it still has great features. It connects multiple devices with heavy usage simultaneously while still providing good and reliable connection to other devices connected wirelessly. The price is worth it especially if you consider just how great this item is for heavy duty streaming and gaming. 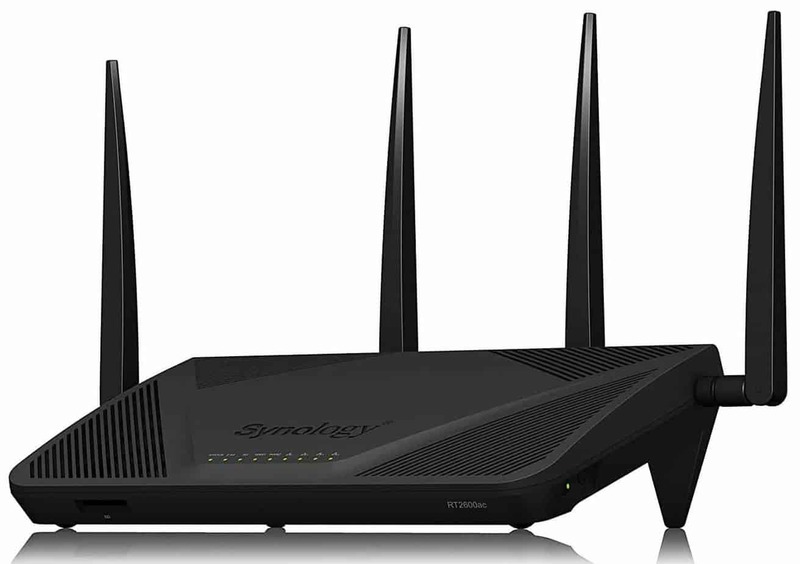 We can’t help but say that this is one handsome looking pair of wireless router. If you’re looking to expand the reach of your device without sacrificing the speed and connectivity, you can get this model and replace your old one. Apart from it having great reach, it looks like a nice piece of art to put on your table or shelf. Be it an indoor to indoor, or indoor to an outdoor expanded range, you’ll definitely get a best connection by using Orbi. It comes with the basic settings of a great WiFi router and includes a wireless AC type of router. You are already guaranteed higher speed and maximized use of the internet even all the way up to 5,000 feet. 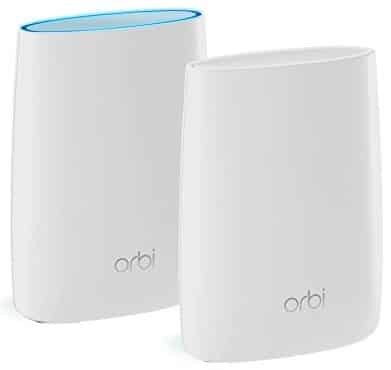 The NetGear Orbi is sold as a set where one hardware can cover a space of 2,500 feet. This set of two offers a great range especially built for a huge house or apartment blocks. Aside from the speed, it is further enhanced by a tri-band frequency allowing you to have perfect internet connection all throughout. You can easily manage your WiFi connection via the NetGear Orbi app. It does come with one 2.0 USB port for extra device connection. It is also compatible with Amazon Alexa making it really easy for us to stay connected and have great command over your Wireless connection. This is the best WiFi router for large ranges. If you are looking to improve your internet connection and reach dead spots with a smooth streamlined connection, then this is a perfect choice. It offers great and easy connectivity with top speed and uninterrupted connections. This is really expensive for a WiFi Router that is exclusively meant for wireless connection. The reliability of the internet may seem to be worth it but with lacking features compared to other high-end wireless routers, this really takes a crunch out of your wallet. Internet connection from this wireless router is really superb. You’re assured of reliable connection even in dead zones around your house. The range is definitely not a problem and stable connection is just as great. The only thing missing is the extra function that it should have come with that would fit the price range it falls under. Going cheap but still getting the most of your money is one of the main reasons why we love this Wireless router. This just proves that you don’t need to go over $100 to find a great wireless ac router. The TP-Link Archer provides great connection without much hassle. It offers a superb connection with speed reaching up to 1,200Mbps. This is a wonderful wireless router since it is a hybrid type with four ethernet ports and one 2.0 USB port. This allows you to have a greater connection directly wired to your devices without interfering with the speed of other connected devices. Since this is a dual-band wireless router, it is practically offering your devices seamless connection until the tip of its range with the help of its dual-band antennae. This is a pretty simple but powerful wireless router. It comes with a customizable QoS where you can set a priority list for the devices that you use the most to be prioritized with an unparalleled internet connection. Cheap but you get more than what you paid for. We particularly love the priority list on the app for this Wireless router. It’s great because it is super easy to set-up and install; and within less than an hour of setting it up, you can easily connect to the internet without any issues. Unfortunately, it easily does get congested. It will start to lag if you connect about 8 to 10 devices at a time. This is still a considerable number for the price of the device but not so much with a wireless AC router. Features are superb with great speed, reliability, and range. You’ll surely enjoy the fact that this item has great reliability despite only costing you about $60 initial cash-out. It offers so much for such a cheap amount. This is really worth considering in replacing those monthly rented out routers from your service provider. There aren’t a lot of wireless routers out there with its own control screen and monitor screen to constantly keep track of your data usage. This is a revolutionary step for a great wireless router since you can have everything without a separate device having to set things up for you. So whether you are looking to replace your existing wireless router or you’re simply looking for a wireless router extender, Securifi Almond is a great choice to be on your list of potential wireless router choices. As the world’s first touchscreen wireless router, you can easily set this up within minutes and have it work to service you immediately. And what’s great is that it can be integrated with Amazon’s Alexa making your life even much easier once again. The hardware is already a masterpiece. As an extender or a WAP (wireless access point), it is highly compatible with any service provider and other wireless routers out there. This is, however, a wireless bgn meaning it supports lower based wireless router types and can only reach up to three digit Mbps--in this case, a realistic connection of 300 Mbps connection to your devices. This may sound low considering the other speed outputs of other wireless routers in our list, but this is still as significantly fast internet connection in the actual world. Despite that, it has MU-MIMO 2x2 allowing you to connect two heavy usage devices at the same time. It is also a hybrid router since it can cater up to two ethernet connected devices and still provide smooth and reliable connection to wirelessly connected devices. This is a really sweet easy set-up especially for technophobes and technodumb users out there. This is very helpful and increasingly very handy since it is so direct-to-the-point when it comes to internet connection. There are other wireless AC routers that can be bought for the same price. The fact that it has a touchscreen interface really does increase the value, but when it comes to features, it falls under a mediocre range. For those who have internet that doesn’t really reach up to 4-digit speed, then this is a great and useful wireless router. You don’t need a highly expensive and specialized wireless router if your subscription is also just as limited. This is a real treat for those who aren’t techno-smart at all and surely, a lot of users are already waiting for a touchscreen wireless AC version for the Securifi Almond. With a powerful 1.7 GHz processor, you won’t be surprised if it can really handle a huge traffic of devices trying to connect to it. The processor allows a really smooth and uncompromised wireless connection that is perfect for AC wireless router. The Synology RT2600AC offers MU-MIMO 4x4 support, meaning it can connect up to four heavy usage devices and still offer superb speeds of up to 4 digits to other devices. This said, you are assured that your devices will not have any issues with buffering or lagging when it comes to being connected to one wireless router. Even with constant downloading, live music and video streaming, your connection would still be seamless. It does offer great online connection without interruption due to its dual frequency allowing you to connect multiple devices without interference from other radio signals. Security wise, it comes with a Layer 7 traffic control and monitoring and constant watch against online threats. This router has a dual WAN capability giving it an extensive range for a medium-sized home without fail. A great aspect about this would be the extra features like parental control--vital for every household with children. You can literally filter the content that is allowed to enter certain lines and devices, as well as control the use of the internet of certain devices through the Synology Router Management (SRM) operating system. It has multiple ports that support up to 4 LAN ports ethernet cable, as well as one 3.0 USB port. It’s also great to know that it allows file sharing and back-up storage where you sync files across multiple devices. We loved that it streamlined with smooth connection and great reliability. But the real extra advantage of this wireless router is the fact that it is so easy to control using its own operating system. It is very easy to manage the wireless router even for people who aren’t so well-equipped with tech know-how. Much like any other wireless routers, this also faces inconsistencies in speed due to failing radio signals. Though it has a good range, the connection around the edges of the range is also inconsistent from one another. With every great wireless router comes a few problems to be encountered but in this case, the pros definitely outweigh the cons in a long shot. With seamless streaming and great internet connection and easy WiFi router settings access, this is a great wireless router to buy and it’s just at the right price--not too expensive and not too weirdly cheap either. Don’t be too surprised if Google also has their own contender when it comes to offering a great WiFi router. Who wouldn’t want to have a router that looks absolutely superb? But setting aside the aesthetics, this is AC1900 wireless router with a dual band. It offers a really reliable connection that is free from radio interference. 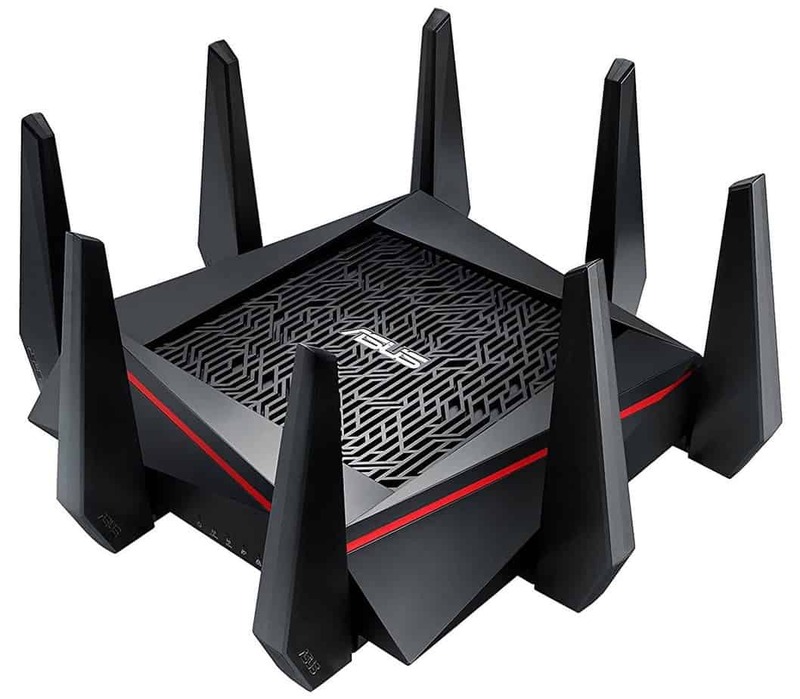 Though it may not look like it, the router has four antennae allowing you to have an extensive range of 2,500 feet of smooth internet connection around your house or your office. This eliminates--or lessens--dead spots. 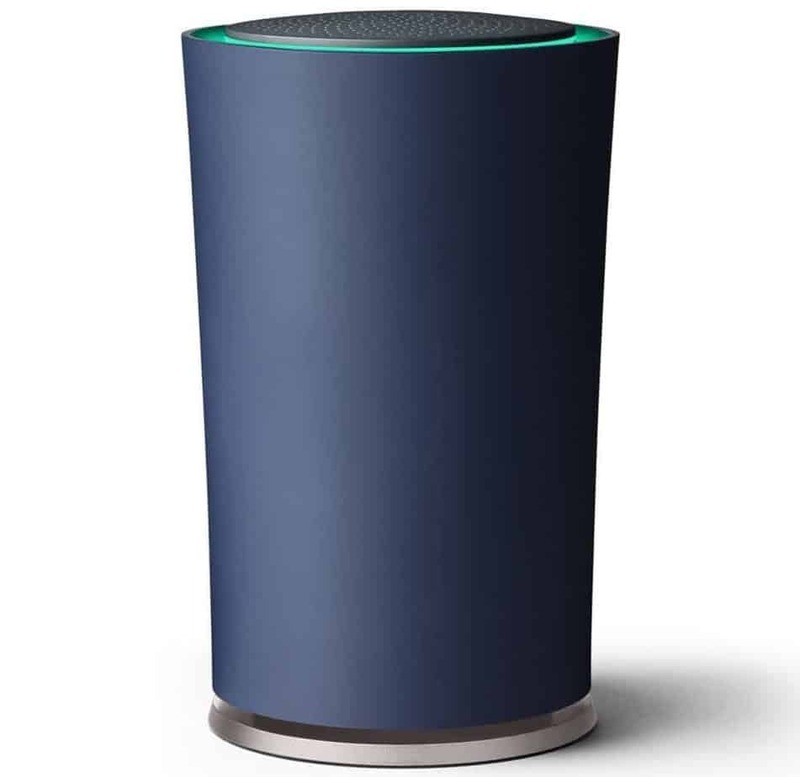 The router is easily accessible via the OnHub app making it really easy for you to control the features of your Wireless Router. This would include setting up a guest network and leading security features that you can monitor and control. With a great connection through the AC wireless router, you can connect up to 100 devices all at once and still barely have to worry about any lags. That is because this is exclusively a wireless router that doesn’t come with ethernet ports for direct internet access. But with that being said, it makes up for it with great WiFi speed for any heavy streaming on any device. What we love about this is that it looks really wonderful. It offers great connection for many devices at a time and it also provides a really extensive range for WiFi connection. It proves to be a great wireless router that does its best to prevent any form of dead zones. On the other hand, the fact that it doesn’t come with any ethernet ports is already a downside to this otherwise great wireless router. And even if does allow 100 devices to be connected, it is just for light internet usage at a time only. This works great as a replacement wireless router for the typical sub-quality wireless router that our internet service provider offers. It is a great deal since it gives pure wireless signals of barely any interruption. Yet another awesome wireless router by Linksys, this triband wireless router is so great that it offers massive speed up to 5,400mbps. 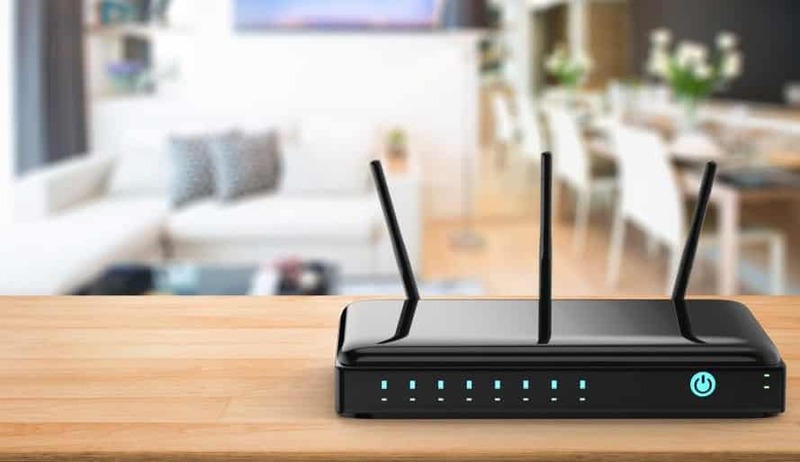 A great aspect about this wireless router is the fact that it comes with wired connection allowing 8 different ethernet cable connected devices at gigabit speed. We love that it comes with upgraded basic features like a triband frequency allowing multiple devices of heavy use to connect all at the same time without creating any form of lag or congestion. It also offers a wide range of connection since it comes with 8 antennae extending the reach of your online access around your house or area. This router has a 3.0 USb port for other devices as well. What’s also great about it is that it can extend up to four simultaneous data streams per band making it a 4x4 MU-MIMO technology enabled wireless router. With one 2.4 GHz and two 5 GHz frequency bands, you’re guaranteed that your wireless router will provide you with only the best uninterrupted online connection wherever the range reaches you. It also means that you can enjoy your WiFi with stable connection even at the border of its range. Another great thing about this is that it is very much the ideal partner for Alexa since they sync really well. Reliability is definitely one of the greatest factors of this wireless router. It surely guarantees a realistic speed of four digits. This makes it an awesome wireless item. Compared to other devices, this is highly compatible to Alexa making controls and better voice prompt commands to be followed without delay. We find this item highly overpriced. With other relatively close features, this is pretty expensive for its wireless AC router type. Even with advanced features, the cost is just unjustifiable for us. Though it is overpriced, we can’t deny the quality of this wireless router. Inconsistency is not a problem and constant stability is always at its best. If you’re really after great internet connection without serious or even light problems or issues with realistic speeds and uninterrupted connection, then it is pretty easy to close your eyes and purchase this wireless router. Ethernet is the direct line of the internet to your router. It is what we use to connect computers to a local area network (LAN) and communicate with each other. 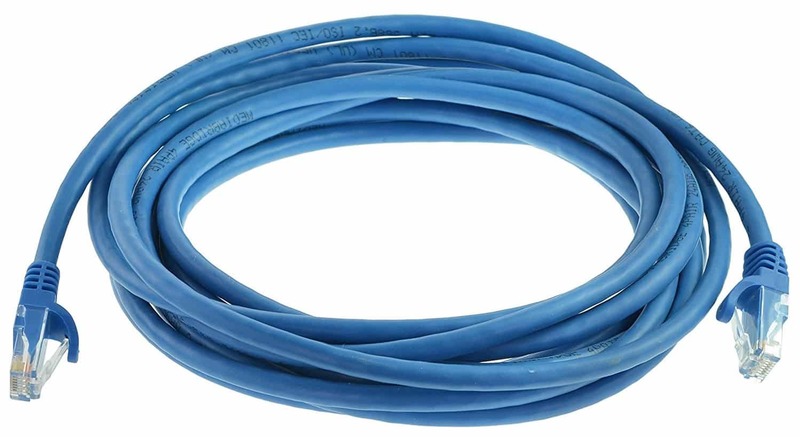 The ethernet is widely related to the cable that connects the internet to the router using a wire, and the cable it uses is much thicker than that of a telephone wire. LAN, or Local Area Network, refers to a group of connected devices in a certain area, hence the word ‘local’. It’s like a community of devices that are connected to a certain network--in this case, the internet. With regard to an internet connection, the router serves as the main hub thus creating a network of devices connected to the internet. A computer can also serve as a LAN server when it serves as a central access point where multiple computers or devices can share files and programs via the computer. WLAN, or Wireless Local Area Network, in contrast to the traditional LAN, this is a network connected together wirelessly. LAN uses ethernet cables to stay connected together but WLAN uses radio waves instead. WPS, Wi-Fi Protected Set-up, to simply put is a Wi-Fi connection with a password. In order to secure your Wi-Fi connection, it needs a first line of defense (i.e. a password) to keep unwanted connections from gaining access to your connection. WPS refers to the entire set-up of the first line protection including the network name (SSID) and the password (WPA-PSK key). If you don’t have both, you won’t be able to connect to a Wi-Fi connection with basic WPS. WAN, or Wide Area Network, is very similar to LAN. The only difference is that the connection is not limited to a small or fixed location. It is a series of interconnected LANs. You can describe the internet as the biggest WAN in the world since it connects millions of LAN connections - all linked via telephone or fiber optic cables, satellite connections, etc. VPN, Virtual Private Network, is a protected line of connection that makes a network private. VPN is often used in businesses to protect certain information like long-distance communication, private business information, and many more. VPN is encrypting a connection to keep the internet connection private to a company or a series of computers or devices. 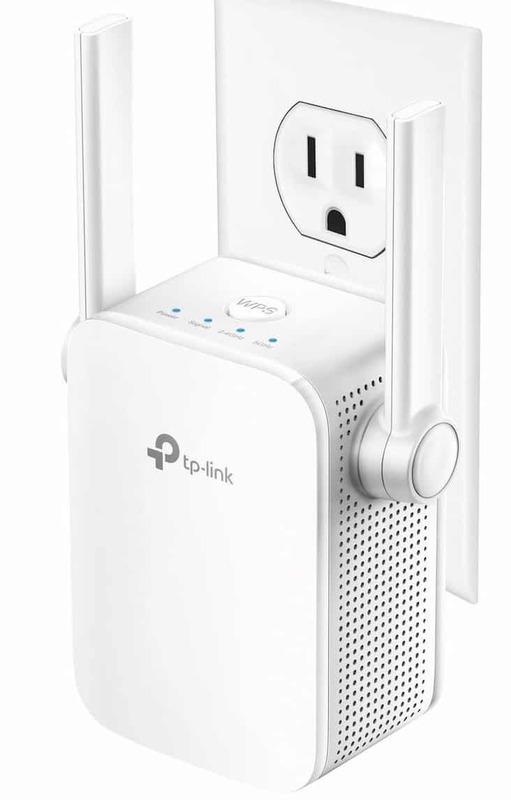 If you live in a huge house that requires an extensive reach of wireless internet connection, then this is a great extender for you. As one of the best extenders or WiFi repeaters on the market, this NightHawk extender is a real uprise. It is highly compatible with practically any device and service provider. In fact, it may even be a better WiFi router than most of the devices typically provided by your internet service providers. It has a range of about 5,000 feet of uninterrupted connection. It even comes with four-gigabit ports where you can connect your devices such as your TV for seamless streaming and still provide a stable WiFi connection to other devices without lag. It has a fastlan3 technology that helps retain your internet connection without actually having to cut your speed in half. With great speed, it provides top-notch WiFi connection that offers the best quality streaming, gaming, and extended WiFi coverage without reducing the speed of your internet connection from the main access point. Another extender or WiFi Access point, this is a wonderful repeater that will help extend the range of your WiFi connection especially in dead spots around your house. Since it is a wireless AC router extender, it is highly compatible with other lower end wireless routers in the market. It is a wall plug-in type so you really need to find the best place to put it in. But once it’s already where you want it to be, the connectivity of this device is superb extending the reach of your internet connection without splitting the speed in half. 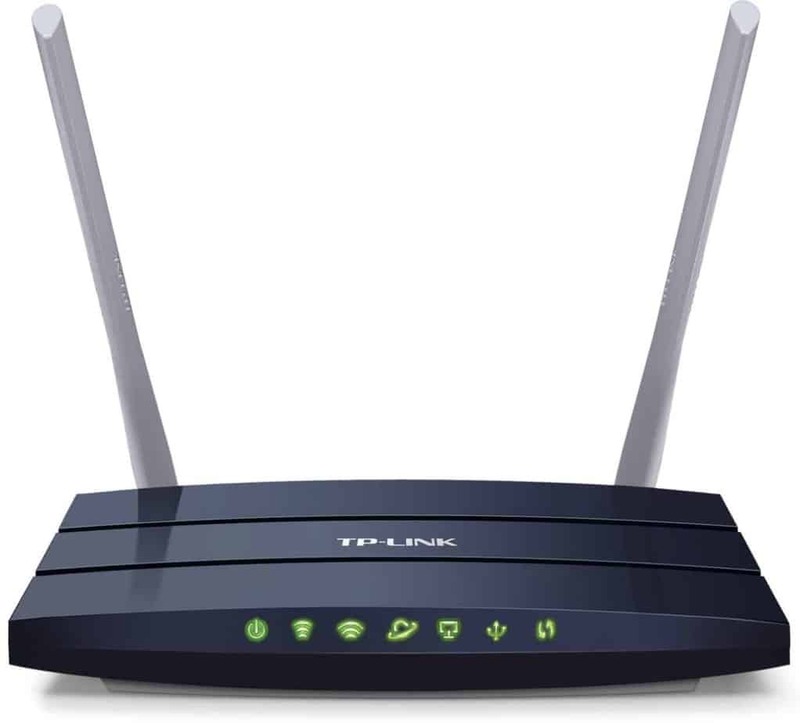 TP-Link AC1200 Dual Band is a great WiFi extender in providing great speed up to 867 Mbps. It is also a dual band repeater making sure that your Wireless connection will not easily be interrupted. It has one ethernet port that you can use for a direct line of better internet connection. It is relatively much cheaper than the NightHawk Mesh but it still offers good quality internet access to where it can actively relay. It can be managed through the TP-Link Tether App for an ensured quality service. WiFi routers need to be placed somewhere open so that it can easily transmit internet packets without any interruptions or delay. And if you don’t have such a place to put your WiFi Router, you need to find a space to keep it out of sight--especially away from your children. You need a cantilever for that purpose. This rack mount is one perfect example. It provides a great space for you to put your WiFi router or WiFi extender at the perfect location. With a weight capacity of 16 pounds, it is more than enough to hold your WiFi router and even other WiFi accessories. It is also pretty wide with a 19-inch space. You can even use it as a storage rack for other necessities. Since it is made of a heavy-duty 2.4 mm SPCC cold-rolled steel construction, this provides a sturdy home for your WiFi router. You’ll also have to worry less about your router ever heating up since it has holes to allow smooth airflow to your Wireless router. For a sturdy home for your WiFi Router, this is a perfect choice since it offers great weight capacity and wide space to place your router. Aside from that, you can also put other devices on top of it. This is definitely a good WiFi Rack Mount for anyone. This is another cantilever that offers a great space for your Wireless Router. It has superb support and wide space for your wireless router. With a capacity of 50 pounds, you will be able to store more than just your Wireless Router and other devices as well like your telephone--if you still have one or other necessities. It is vented steel allowing great airflow to your wireless router, making it a great pick for a cantilever. 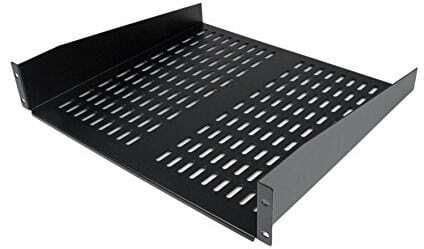 And since it is a deep fixed shelf, it prevents your wireless router from ever falling off. This is a great cantilever for your wireless router since it offers a spacious storage and a well-ventilated rack that will less likely cause your wireless router to overheat--if it will ever overheat in the first place. Even if you’re looking for a wireless router, most wireless routers out there already come with ethernet ports but without the cable. If you prefer a direct line of connection to your router, then you need this ethernet cable. With 50 feet of distance, this is an extension cable that you can use for your gaming console, your PC or other devices. This is a necessity especially for priority items at home that need a better internet connection. It offers greater connectivity with a decent length. It also allows you to have an uninterrupted direct line of wired connection straight from your Wireless Access Point. A router is an electronic device that connects computer networks to one another and to the internet through a wired or a wireless connection. It’s technically the small device that you connect that is directly joined to the internet. What does a router do aside from connecting to the internet? A router not just connects a local network to the internet. It has an entire list of functions that we aren’t really aware of. Firstly, it serves as our first line of defense against cyber attacks and is considered as one of the highest forms of security when being connected to the internet. Secondly, it assigns a unique IP address to a certain network. It is the device that gives a certain line of identity to your local network. Thirdly, they do not just connect to the internet, but they find the fastest way of being or staying connected to the internet. Lastly, it serves as our direct line to the internet. It is specifically designed to do just that but with an added function of secured connections via a direct line. A router is connected directly to the internet through cables and wires and doesn’t even need any drivers for local devices to be connected to it. Think of a router as a border gate that connects one state to another but still has a line of security making sure that you are viable for entry without the need for you to get out of your vehicle. Classifying routers is actually hard to do. There are many ways we can classify a router; one is by use and another is by type of connection. Don’t worry, we will talk about these different types of routers based on how they can be classified differently. Before, we could only connect to the internet through our schools and larger businesses. Business routers are much bigger and are definitely more expensive than the type of routers you are probably looking for. It also requires a team of specialists or technicians to keep it running. Business routers manage terabytes of data flowing to and from multiple networks. They are also wired for faster and larger consumption of internet data. When it comes to prices, business routers are more expensive than the consumer routers. It starts mostly at the point where home broadband routers price max up. That is because it has more security features than consumer routers have. It has more than likely a doubled form of security for the business than that of a consumer router. Usually, business routers are wired to and from the internet for better connectivity. They don’t offer many wireless connections since airtime can cause traffic especially in large number of devices connected to the router. In order to access remote connections, multiple wireless hotspots or access points are established. These routers are made to connect a couple of devices to the internet. In the onset of the modern growth of the internet, homes have tapped into the need for internet connection. When more and more people have multiple devices at home that can be connected to the internet, consumer routers were designed to sustain this demand. Under the consumer market for internet connection, routers connect multiple devices to the internet with the use of ethernet cables. Now, we have ethernet cables connected to the router and supports wireless inter-device connections to the internet. A home broadband router has basic security features that are different from the security firewall that comes with business routers. Technically, the security of consumer routers is on a smaller scale because they’re only wired to connect about a dozen of devices at a time. With regard to prices, consumer routers average at $100. Obviously it is cheaper than business routers due to reduced features. Wired Routers refer to direct line connection from a computer or a number of computers to the router. All of them are connected through a cable. The hard line computers come with internet data packs that it distributes or shares to the devices that are hard-lined to it. A wired router allows different devices to connect to the internet using a single IP address. In simpler terms, it has a central IP address that other devices can just share instead of being assigned their very own IP address. It sort of creates its own network and also sharing a security feature. Wired routers also provide connection ports to other devices like fax machines and telephones. Since they are wired, they come with lesser features required as compared to a wireless router. A wireless router is practically the same as a wired router. The only difference is that it uses an antenna to connect different devices to the internet. A wireless router is also a modem that is directly connected to an ethernet cable where it receives internet packets. The devices get to have access to these internet packets through one or more antennae. A wireless router does have another task as compared to a wired router. It needs to translate the internet packet codes to radio signals so that it can broadcast these to different devices. However, only devices with a wireless receiver can connect to the internet. Devices having a wireless receiver will receive the radio signals from the router and translate it back to binary codes to connect to the internet. Security is also just as important to wireless routers as wired routers using what we call Wireless Media Access Control (MAC) address filtering and Wi-Fi Protected Access (WPA) security. Core Routers - This is a router that distributes internet packets to an existing network. It’s a major part of the backbone of the internet that allows internet connection in an existing network, but it cannot distribute internet packets to other networks. Edge Routers - This is often contrasted to a core writer. An edge router is literally what its name suggests. It’s found at the end or the periphery of the backbone of the internet. They connect to the core routers just as well. Virtual Routers - Virtual routers are also known as vRouters. As its name suggests, it’s not a hardware router. It only serves as a default router in cases where a router fails to function temporarily. We know that one of the reasons why you’re going to buy a wireless router is mainly because of the hassle of having tons of wired connections leading to different parts of the house. The very sense of convenience that wireless routers offer is inevitable and it is one factor that we hope to maintain. There are more than just one type of wireless routers though. And most of us are pretty much unaware of how to choose a good one that fits our needs. You’ve probably heard or seen the common ‘802.11’ along with a letter beside it and wondered what they could be. You also probably thought how important they are to you and your choice for a better wireless router. Well, these numbers definitely indicate something and they often are connected to the speed of your Wi-Fi connection. You may probably have wondered how come your internet or your Wi-Fi is so slow, right? Well, it’s not always your service provider’s fault. It can be because of the type of router you’re using. You have to know that there’s a set standard for wireless networking. This is to make sure that all wireless manufacturers would make quality routers based on the standards set by the Institute of Electrical and Electronics Engineers. The technical term for all these wireless routers always come with the 802.11. For easier reference and easier sense to remember, especially for most of us who are quite techno-dumb, we will refer to each router by their lettered name. Wireless A (802.11a) - This is the mother of all wireless connections. It’s where all wireless routers came from. It was introduced in 1999. Quite a really long time ago, but now, it’s literally obsolete. Wireless B (802.11b) - This is one of the first generations of wireless routers made with improved development. It was launched in 2000 which quickly started to replace the Wireless A. B routers are already considered as obsolete but there are still some out there who uses B router. Knowing if you’re using B router means that you need a serious upgrade. Since it is a very old model, you’ll need to change your router to keep up with better speed for your devices to connect to. Wireless G (802.11g) - Wireless G refers to the second generation of wireless routers. It was introduced in 2003. It did come with better speed and better range than those of the Wireless B. It has a lower standard connection of only up to 54 Mbps. Wireless N (802.11n) - The latest generation of 802.11 routers created is those labeled as ‘N’ which literally translates to ‘new’. The N router has an average speed of 450 Mbps. This was launched in 2007 and is already considered as quite an older system. Wireless AC (802.11ac) - A wireless AC router--it’s just so much simpler to call it--is a newer router. It is a long shot from its predecessors because it can reach speed up to 1,300 megabits per second (Mbps). It is the latest and the greatest standard of wireless connection. The Wireless AC is a 2013 model which is what we find in the latest gadgets like smartphones, laptops, smart TVs, and other smart devices. Wireless AD (802.11ad) - This is the newest model for the latest WiFi routers. It is, once again, a massive upgrade from the Wireless AC router. With a 60Ghz spectrum band and speed reaching up to 7Gbps, this is undoubtedly the latest and the best Wireless router. The only problem is that the world hasn’t really caught up to it yet. With most gadgets just still catching up to the Wireless AC speed and connectivity, it’s less likely that you’ll find devices that would be compatible with what the Wireless AD can offer. So, even if you do have the latest model phones and laptops, you’ll still only connect up to the speed of your built-in Wireless AC connection. But, we’ll see just how quickly we can catch up with the Wireless AD. Who knows, in just a year or two, that’s going to be the latest standard for WiFi connection. What’s the difference between different Wireless Routers? The difference among these wireless routers is the speed and the range. Meaning, it falls on just how fast it can translate the internet packets to your device and how far it can transmit its radio waves. There is a downside to connecting WiFi enabled devices. So, even if you do have the latest smartphone but your router is a Wireless G, then you won’t be able to maximize the speed that your phone is capable of. The maximum speed you can only have or get follows the lower standard speed. For example, you own the latest iPhone X. It’s definitely created with a wireless ac connection. However, if you have a wireless G router, then the maximum speed you can only use depends on how fast your router can reach. If you have a lower model cell phone with a wireless N connection and you recently upgraded your router to a wireless AC, then you can only reach speed up to the capability of your cell phone. So technically, the only time you’ll be able to maximize the greatest of internet speed is when both your device and your router are both wireless AC enabled. What’s the Difference between Wireless AC and Wireless N Routers? Though they have massive speed listed, they’re practically just for show. We don’t really reach any of these limits or even go over them. But we do get the chance to reach these limits ‘sometimes’. The reality is that when we connect to any of these wireless connections, we only get to reach up to 80% of the actual speed. However, we often hang around the 40% to 50% of the actual theoretical speed mentioned. So in the real world, a wireless AC router can give you speed up to 720 Mbps, or 90 MBps (MegaBytes per second). And the reality behind a wireless N router is that you can reach up to 240 Mbps or 30 MBps. The difference between a wireless AC and a Wireless N is that your wireless AC is three times faster despite the actual speed readings of the internet. Another factor that affects our real-time experience in connecting to Wireless connections would be the router’s antenna(e). In reality, Wireless AC routers are much bigger than the rest of its predecessors. That’s because it needs to have more antennae to support better internet connection among different devices. At the moment, we have a maximum of 4 antennae for the latest wireless routers. Mostly because you’d need to expand or make the hardware much bigger once you add more antenna, the smaller you get, the smaller the antenna is. Each of our devices has their own antenna to receive and translate internet packets. And the smaller our device is, the smaller the number of antennae our devices have. For example, a smartphone has one antenna while a tablet and a laptop has two. Newer desktop computers also have their own antennae where some would have 2, 3, or 4. Do I need my own Wireless Router? Your internet service provider has two options when it comes to your wireless router. Some would sell you the wireless router as part of the internet package while others would rent the wireless router costing you about $5 to $7 extra to your internet bill. But there is definitely a better way of getting the best connection speed from your service provider and maximize it -- by getting your own wireless router. As a marketing strategy, service providers would offer lower-end wireless routers. And in the long run, would offer you a higher-end wireless router that is compatible with the internet speed that they are providing you. This is pretty costly. It is still cost-efficient to have your own equipment because it saves you future calls from your service provider’s sales agent or have to get annoyed with the extra dollars that you have to pay for renting the wireless router provided to you. How to properly set-up your WiFi router? If you find your connection lagging, it may not actually be your service provider. It could be your wireless router. Learning how to tweak your router will not only improve your internet speed but will also advance your internet speed and wireless accessibility in your home. Never keep your WiFi router in hidden places like inside the cabinet or somewhere in your shoe rack. Putting your wireless router in hidden places can interrupt your internet connection. Your WiFi router needs an open space so it can broadcast your internet packets well and without interruption. If you are keeping it in a drawer or a cabinet somewhere, you’re actually limiting your WiFi’s full operation. Solution: Put it in open spaces or place like near the window or higher up the shelf. It is also best to put it somewhere in the middle of your house rather than in a corner. Your WiFi router transmits data in a circular range and not just towards one direction, so putting it somewhere your devices can easily connect to will improve your range and your accessibility. You may not know it but you may actually have a wireless router that has a dual frequency band that allows you to connect to the internet at better speed and lesser interruption. If you have a dual-band, make sure that you set your internet to 5GHz. This prevents your connection from being interrupted by other nearby wireless connections. Solution: You can simply select your band frequency from the settings of your wireless router. This is pretty simple to do but if you don’t have a wireless router that supports 5GHz band, then you might want to upgrade your wireless router. One of the best ways of improving the performance of your WiFi Router is by choosing the right channel. There are bad channels and good channels. Bad channels are those that are easily interfered and the good channels simply refer to those which have better and seamless internet connection. Solution: Access your Wireless router settings. You can set your channel to a new or different channel. Take note that there are about 11 channels to choose from. It is often recommended that you set it to a single channel instead of choosing various channels that will overlap or interfere with each other. The best channels are 1, 6, and 11 because they don’t overlap. What is a Hybrid Network? Do I need it? There are wireless routers that support both ethernet connection to your device and also offer a wireless connection. Most wireless routers have exclusive wireless connection. A hybrid router offers a direct connection to a device if it’s connected via ethernet cable but it still offers stable WiFi connection to other devices. The best use for a hybrid connection is for those who have home offices. You can connect your main computer via ethernet cable for speedy, uninterrupted connection. The rest of your home gadgets can connect through WiFi. This is also helpful if you have a full-time gamer in your house. What’s the difference between firmware and software? Firmware is a type of software that is specifically coded for a certain type of device. It is permanent software that literally tells what the hardware is supposed to do. It’s like the mastermind of the operating system of hardware and it cannot be changed. It can only be updated. Software is a program that is developed to improve performance and provide operational information to certain devices. Software can be installed and removed from a certain device. The Netgear Nighthawk is still a leap further away from our mid-range top pick. 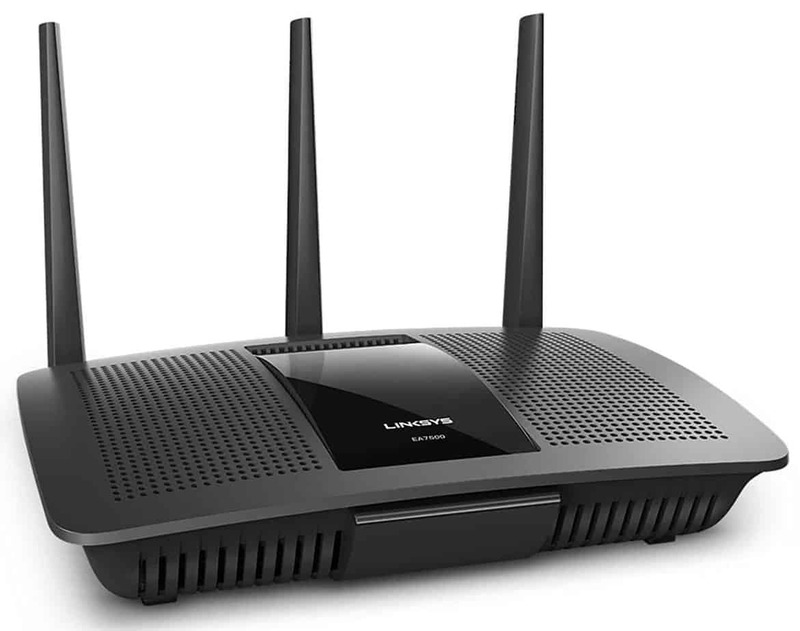 Though we can find other faster speed ac routers on the market, the realistic speed of the AC1900 by Linksys is considerably higher than other wireless connections out there. This provides smooth and easy connection to multiple devices connected to it. But when it comes to real internet speedy services, the NightHawk X10 is really a far cry away. The TP-Link Archer is considerably about 90% cheaper than the NightHawk X10. that is a very significant price drop, but the TP-Link Archer offers great features that are just a level lower than that of the NightHawk X10. The Archer has great speed, reliability, and range that can match up against mid-range wireless routers but will not be able to compare to the features and speed of the NightHawk X10. The NetGear NightHawk X10 is a great wireless router. At the top of its game, this is a really wonderful wireless router that offers more than just the best internet speed and features that can be found on the market. Since this is the only AD wireless router on our list, it sure does pay to have a wireless router with the best and latest internet technology. Though it is very expensive, it can stay with you for a long time and still guarantee to offer you the latest technology through the years with regard to wireless connectivity.